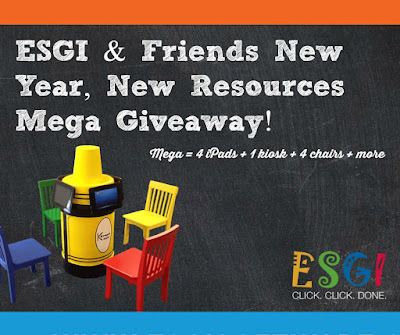 ESGI & Friends New Year, New Resources Mega Giveaway! 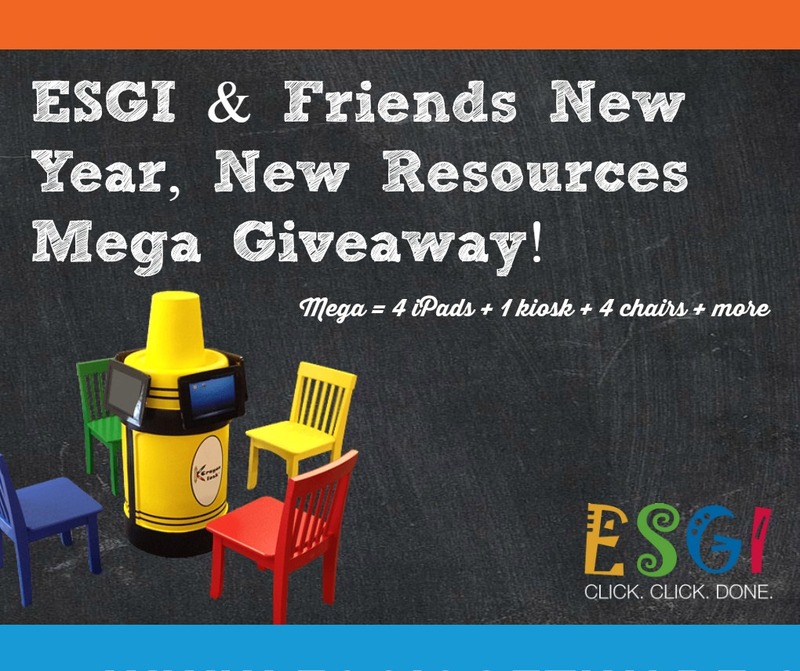 The Friends of ESGI, Aridan Books & ESGI are partnering up for an exciting New Year, New Resources Mega Giveaway. When we say mega we mean MEGA!!!! 12 lucky teachers will win $250 in prizes and one lucky teacher will WIN OVER $3000 IN PRIZES! One lucky teacher will receive 1 iPad Kiosk from Aridan Books + 4 iPads + 4 chairs + 1 license of ESGI. What teacher wouldn't want one of these amazing iPad Kiosks in their classroom?!?! 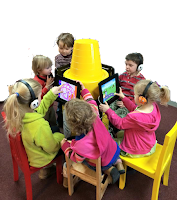 It's an engaging, secure iPad stand filled with apps just for early education along with access to web-based subscription learning programs. If you’d like to learn more about the kiosk, just follow this link to Adrian Books and you can use promo code ESGI30 to save 30%. 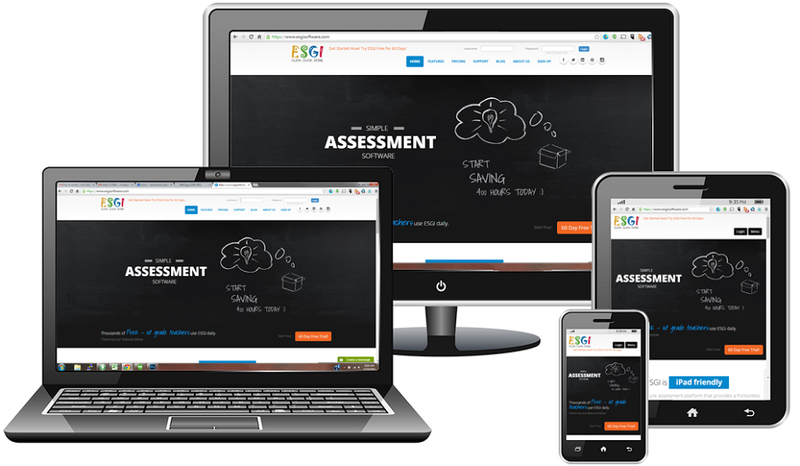 Visit one of our Friends' blog posts, click on the ESGI logo and register for a 60 Day Free Trial. (No credit card required to sign-up for the trial.) When you do that, you will create a USERNAME & PASSWORD. Head back to the Rafflecopter, enter your USERNAME, and then BAM, you're eligible for this incredible giveaway! If you have an ESGI account already, sweet, go ahead and enter your USERNAME in the Rafflecopter! Once you've entered your USERNAME, you are entered for each days' raffle. All you have to do is hop from this blog to all the blogs listed above, leave a comment on one of their blog posts and then you can check off ‘I commented’ in the Rafflecopter. Each blog that you comment on will earn you extra points. There are 13 bloggers participating, so you can get up to 13 extra points if you visit every blog! Make sure you comment though, because we will be checking! 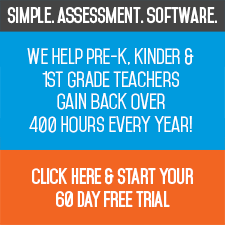 ESGI is an online resource created by a veteran Kindergarten teacher to help teachers spend less time assessing and more time teaching. 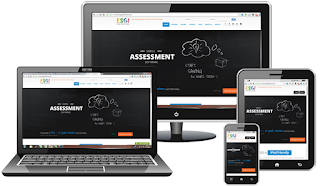 ESGI contains over 300 pre-loaded tests, or create your own assessments, to quickly gather student performance data and automatically generate multiple reports. The data in ESGI is also used for populating personalized parent letters & flash cards, identifying individuals or groups for targeted instruction, and customizing the learning environment to promote focus areas for academic growth. Good luck! We can't wait to see all the comments and to see who WINS!